Yewbarrow is always a great climb from Wasdale Head. From the summit there is a great view down the full length of Wastwater. 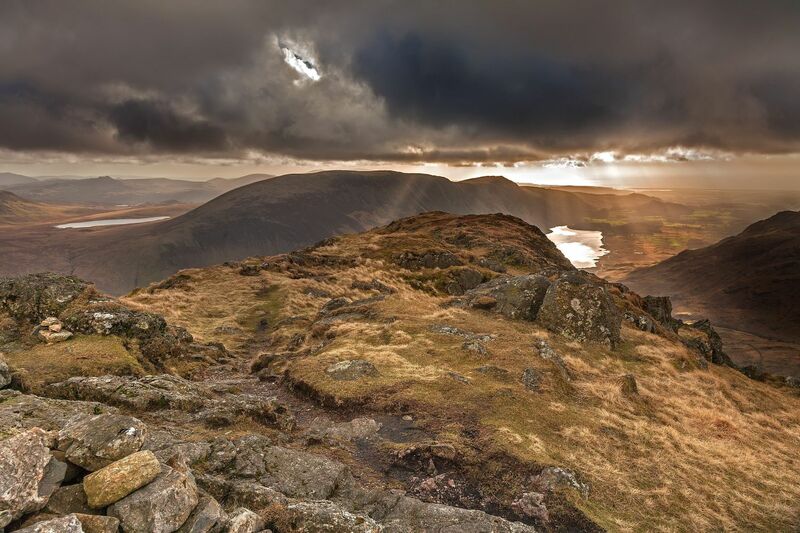 The sun breaking through the heavy cloud created Sun rays over Wastwater and the Wasdale Screes.